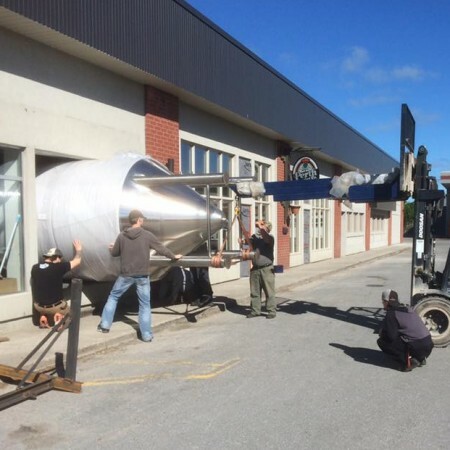 PERTH, ON – Perth Brewery has announced that an expansion project undertaken over the summer is now complete. Three new 60-barrel fermenting tanks and a 30-barrel brite tank have been added to the brewhouse, increasing brewing capacity 2.5 times, and the facility also now includes a pub-style taproom pouring full pints, as well as an expanded retail store. The brewery has also acquired a permanent LCBO listing for its Last Dual Lager, which will be joining the year-round Bonfire Black Lager and seasonal brands Summer Squeeze Citrus Wheat and Cascader Invader Wet Hop at select LCBO locations. For more details, see the Perth Brewery Facebook page.